In the eventuality of Jet going down, it will be the seventh airline to shutter operations in the past five years as operators like Air Pegasus, Air Costa, Air Carnival, Air Odisha, Air Deccan, and Zoom Air went belly up. 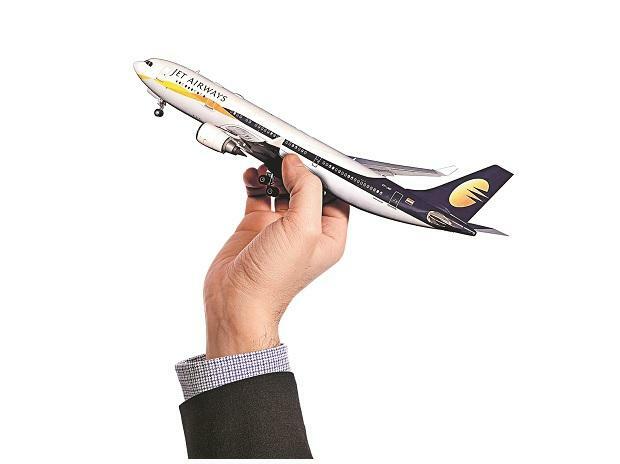 Bracing for a possible shuttering, Jet Airways Thursday grounded services across the Eastern and Northeastern markers and also suspended its international operations for a day, while 1o more planes were forced out of the fleet. In related developments, its board met in Mumbai and discussed "operational" issues, while airlines' strategic partner Etihad Airways submitted initial bids for higher stake in the crippled carrier. However, founder Naresh Goyal, who had also planned to participate in the bids and was expected to put in bids Thursday, did not do so till late evening, the sources said. Goyal owns 50.1 percent in the airline, most of which is pledged with lenders. Goyal had last month agreed to pare down his stake to 25.5 percent for an emergency fund of Rs 1,500 crore from the lenders, and leave the board but the process is yet to be completed due to procedural delays. The government has tried to rescue the airline, fearing job more losses ahead of the hustings, which has seen the banks led by state-run State Bank agreeing to bail out the career by acquiring majority stake. Moreover, the airline informed the exchanges late in the evening that it was forced to ground 10 more planes due to non-payment of lease rentals. "Jet flights to London, Amsterdam and Paris from Mumbai, New Delhi and Bengaluru scheduled for April 12 are cancelled for operational reasons," said an airline source close to the development. The airline will also not operate the Bengaluru- Amsterdam-Bengaluru flight on April 13, the source added. "All Jet operations to and from the Eastern and Northeastern states are suspended till further notice. Following this, there are no Jet flights to and from Kolkata, Patna, Guwahati and other airports in the region," a travel industry source told PTI. When contacted, Jet said its Mumbai-Kolkata, Kolkata- Guwahati and Dehradun-Guwahati-Kolkata flights stand cancelled till further notice due to "operational reasons." As of Thursday noon, the airline had just 14 planes-- way down from 123 planes in operations till a few months back. "Jet flight 9W 615 Mumbai to Kolkata and 9W 675 from Kolkata to Guwahati on April 12 are cancelled due to operational reasons. Similarly, 9W 676 from Dehradun-Kolkata- Guwahati service has also been cancelled until further notice," Jet said in a statement, adding passenger refunds are being processed. With just 14 aircraft left for operations, aviation secretary Pradeep Singh Kharola told PTI that the ministry was awaiting a report from the DGCA to decide whether Jet can continue to fly on international routes. The remaining six planes were, three B737s, which are largely used for flying on domestic routes besides on short- haul international destiantions and the rest three are regional ATRs. The board held its meeting in the backdrop of a drastic reduction in operations due to the grounding of its almost entire fleet owing to default on rentals payment to lessors, the source said. "The board, which was earlier scheduled to discuss a host of issues including the name of a former SBI chairman AK Purwar as the interim chairman, among others, could discuss only issues related to operations," the source said. The meeting remained inconclusive, as "there did not seem to be any urgency on additional funding on the part of the bankers," the source said. "Etihad Airways has also submitted bids for more stake purchase ahead of the April 12 deadline. However, Goyal, who was anticipated to put in his bid, did not do so," the source added. SBI Caps, on behalf of the lenders, had issued the expressions of interest on April 8, and had Wednesday extended the deadline for submission of initial bids by two days to April 12. The lenders are offering a minimum of 32.1 percent and a maximum of 75 percent equity in the carrier to any investor either individually or in consortium.